With the level at which people have adapted the use of wallpapers, it is evident that this is a product that come with unrivaled advantages. 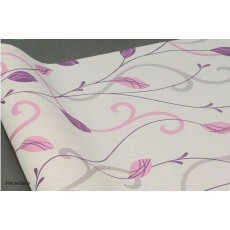 Many people will not consider purple flowered wallpapers as an essential element of decoration, but rather as a primary technique of impacting style, atmosphere and color to a room. The best thing about custom wallpapers is that the industry partitions the manufacturing of wallpapers into two categories, some to be used in residences while others will suit business premises. When it comes to residential areas, the most suitable ones are the floral embossed wallpapers. The reason why many people go for floral wall papers is the source of inspiration that nature and flowers provide, which gives a house a great depth of warmth and a sense of tranquility. Looking for a shop where you can buy quality flowered wallpapers at affordable charges? Petcarl-Décor is your one stop shop.